It is my pleasure to invite you to participate in the Geospatial Week 2019, which will take place at the campus of the University of Twente in Enschede, the Netherlands from 10 to 14 June 2019. Many of these workshops are the next edition in well-established series of workshops convened in the past. The workshops will provide excellent opportunities to present and discuss the latest developments in the ISPRS fields of sensors, photogrammetry, remote sensing, and spatial information sciences. The venue of the Geospatial Week will be the heart of the green campus of the University of Twente. Next to large modern lecture rooms and ample space for the exhibition and poster sessions inside the building, the direct environment also offers great possibilities for demonstrations of outdoor mapping systems, including UAV flights on a nearby field. Participants will be able to register for any number of days and join any of the workshops offered on those days. Registration and paper submission will both be handled through ConfTool, which has now been adopted as the standard for all ISPRS events. Next to the programme booklet, we will also offer the conference app Conference4me to access the whole Geospatial Week programme on your phone. For further information on the dates and terms of references of the workshops, paper submission, registration, travel, and accommodation, please check http://www.gsw2019.org/. 2018 is the year of ISPRS Symposia. One can say that it is a year of reviewing ISPRS members - of their results and preliminary results. The first two Symposia were held in spring - TC III in Beijing in May, and TC II in Riva del Garda in June. TC III Symposium had the highest number of participants of all ISPRS Symposia ever. The careful preparation from Jie Jiang, TC III President, and Ahmed Shaker, TC III Vice President, was highly appreciated not only by Council, but by the many participants. The older generation would remember the venue from the 2008 Congress, situated close to the Olympic Park in Beijing - the Bird Nest Stadium and other sport venues in the park. The following symposium was organised by TC II - Fabio Remondino, President, and Takashi Fuse, Vice President. Photogrammetry always attracts many participants. This year was not an exception. The beautiful venue alongside the northern part of the Lago di Garda lake, at the foot of the Italian Alps, created an excellent setting for the meeting. However, ISPRS has not quite reached the zenith of its Symposia year. We still have three planned for autumn. The first in line will be that of Technical Commission IV - Spatial Information Science. The Commission President, Sisi Zlatanova, Vice-President, Suzana Dragicevic and Secretary, George Sithole, will host us at TU Delft, from October 1 - 5. Spatial information science has been growing incredibly quickly all over the world thanks to the amazingly high number of users. A lot of these users support the many producers of wide software types to create new Apps. Many of them use geolocation, crowd processing and an array of other tools which are analysed by ISPRS members. I believe that ISPRS will play an important role in the basic research of this vast area, the area of spatial information science. Therefore I would like to encourage not only authors whose submissions were accepted to the Symposium programme to attend, but also those who would like to enlarge their knowledge, find new ideas and topics from presentations and from discussions during coffee breaks and the social events of the Symposium. Delft is a pretty fairy tale city, with its historical houses and narrow channels, made famous by the local painter, Vermeer. Technical Commission I - Sensor Systems - invites you to Karlsruhe to its Symposium (9 - 12 October) just the week after the TC IV Symposium. The TC I President, Stefan Hinz, Vice-President, Raul Feitosa, and Secretary Boris Jutzi have been working to prepare an interesting meeting for “technologically” oriented scientists and users. Looking at the rapid development of the technological equipment used for our data collection and processing during the last few years, one wonders what will be presented in two years (the ISPRS 2020 Congress year), in six years, or in 20 years. I am not sure you will find the answers at the Symposium, but I am sure you will get a great overview of the present state, and of the scientific research behind it all. The Symposium takes place in a beautiful German city built on a “green meadow” surrounding a castle constructed in 1715, which makes it exceptional in the world. The photo at the Symposium web site is attractive, isn’t it? The final Symposium is that of Technical Commission V organised by the President, A. Senthil Kumar, Vice-President P.L.N. Raju, and Secretary, S.P. Aggarwal. Education and Outreach, the name of the Commission, should accompany us throughout our lives. Schools and universities open doors to our lives, to our understanding of ourselves, to literature, history, … and the Earth which is the only place we can live, at least up to now. I am looking forward to news on efficient ways for education and of sharing knowledge, and…. it is like a symbol for ISPRS and its Symposia - to have the education Symposium last. It can be interpreted as an overview and recommendation on how to enlarge the community of our science, how to improve our teaching, and how to help the younger generation embrace our message for a better and safer future for all of us. Held in Dehradun in India, a pretty city at the bottom of Himalayas with a more than 2000-year old history, the Symposium, from November 20 - 23, will host not only scientific sessions, but also a very interesting IPAC session with top speakers from all over the world. The deadline for applications for TIF travel grants to assist young scientists, particularly those whose papers have been accepted, to attend the ISPRS Symposium in Dehradun, India, in November this year is September 30. The application form is available here . For 2019, the ISPRS Council is making up to SFr. 60,000 available to support new scientific initiatives. The maximum funding assigned to any one scientific project shall be SFr. 10,000 per annum. Projects should commence on January 1, 2019 and typically last up to 12 months. In exceptional cases, applications for projects lasting up to 24 months will be considered. Projects of greater than one-year duration will be subject to annual review before subsequent funding will be released. Deadline for submission of proposals from WG Officers to TCPs: November 1, 2018. Deadline for submission of recommendation from TCPs to ISPRS Treasurer: November 19, 2018. Announcement of successful awards by Council: December 15, 2018. Funding available from: January 1, 2019. The reports of all projects funded by Scientific Initiatives 2017 are now available on the ISPRS website. As part of the funding requirements, each funded project is required to submit a final report to present the detailed outcomes of the project as well as a brief summary of the project expenses. To access these reports, please visit http://www.isprs.org/society/si/SI-2017/default.aspx. 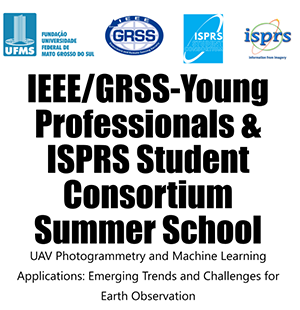 This is the fourth edition of the event so called “IEEE/GRSS-Young Professionals & ISPRS WG V/5 and SC Summer School”, which will be held on October 29 - November 1, 2018 in Campo Grande, MS, Brazil, with the theme: UAV Photogrammetry and Machine Learning Applications: Emerging Trends and Challenges for Earth Observation. The global mobile mapping market is estimated to grow with 21,3% per year to reach a stunning $39.8 billion by 2022. Substantial growth can be expected in North America and Europe, but the Asia-Pacific region will grow the fastest of all, due to the hyper-urbanisation that is currently underway across the region. Industry specialist Geomares has analysed their user data and behaviour and found a stunning increase of 250% in mobile mapping enquiries. The number of mobile mapping systems on their online product platform Geo-matching has grown with a stunning 325% in the last three years. On top of that, their latest GIM International readers survey indicated that 20% of geospatial companies is expecting to plan on investing in mobile mapping systems. Mobile mapping technology is on the rise worldwide and offers lots of opportunities for companies in both the geospatial- and related industries! 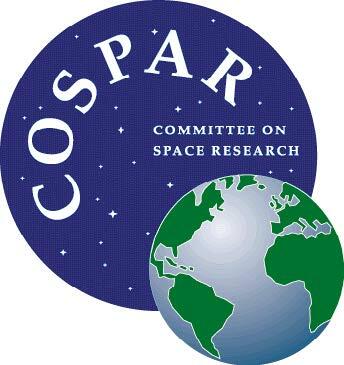 On 15 July during the 42nd COSPAR Scientific Assembly in Pasadena, CA, USA, the COSPAR 2018 Awards were given to scientists for outstanding and distinguished contributions, in recognition of extraordinary services, for distinguished pioneering contributions, and to young scientists for excellence and achievements. As a member of ICSU, ISPRS Council congratulates all awardees and wishes them further success in the future. www.geocloud.work - is an Amazon cloud-based Software-as-a-Service platform which provides a possibility to work with the 3rd party geospatial software on a very affordable pay-per-hour basis. The platform offers dozens of pre-installed and ready to use commercial and Open Source geospatial software, and unlimited computer and storage power. It also provides a simple way for self-installation, testing and working with your software in the www.geocloud.work (Amazon cloud-based) environment. Visit www.geocloud.work and explore its capabilities. During the 38th EARSeL Annual Symposium, which took place at the Mediterranean Agronomic Institute of Chania, Crete, Greece from 9-12 July 2018, the General Assembly approved a new Council for the 2018 - 20 period. 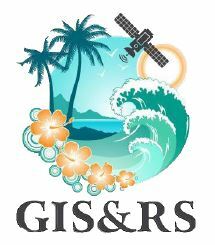 The Pacific Geographic Information Systems (GIS) and Remote Sensing (RS) Conference is the capstone event for Pacific GIS & RS experts. It is an event that is held annually, bringing over 200 local, regional and global attendees with special and working interest in the field of Geospatial Science and technology. More information on conference activities, registration and awards can be found here …. The TC V Symposium will include plenary sessions, technical sessions, tutorials, social activities, exhibitions, etc. and will provide a inter-disciplinary platform for experts, scholars and practitioners to present the latest developments and applications, discuss cutting-edge technologies, exchange research ideas, and promote international collaboration in the field of remote sensing. Around 200 - 300 participants from around the world are expected to join in this international academic event, and you are welcome to meet old friends and create new contacts. Geospatial World Forum is a collaborative and interactive platform, which demonstrates collective and shared vision of the global geospatial community. It is an annual gathering of geospatial professionals and leaders representing the entire geospatial ecosystem. Coming to its 11th edition, Geospatial World Forum has become the most talked about geospatial event, best-known for its futuristic themes, engaging content, and top-level attendees. Back to Europe after 2 years, Geospatial World Forum 2019 is committed to creating a premium platform for geospatial community to learn, share, connect, brand, and network with stakeholders associated with the industry. 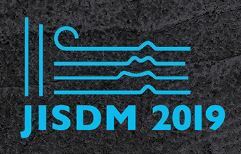 The School of Rural and Surveying Engineering of the National Technical University of Athens (NTUA) is organizing the 4th Joint International Symposium on Deformation Monitoring (JISDM) in May 15-17, 2019 in Athens. JISDM carries the 40 year tradition of the FIG and IAG joint symposia in the field of deformation monitoring and more recently the active sponsorship of ISPRS. 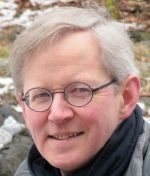 The symposium aims to connect research in deformation measurement / techniques, analysis and interpretation with advanced practice. 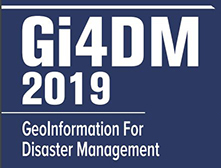 The upcoming conference in September 2019 will demonstrate the last international advances in Geoinformation regarding the Disaster Management. Ariza-López, Francisco J., Ruiz-Lendínez, Juan J., Ureña-Cámara, Manuel A.
Perdana, Aji Putra, Ostermann, Frank O.
González-de Santos, L. M., Díaz-Vilariño, L., Balado, J., Martínez-Sánchez, J., González-Jorge, H., Sánchez-Rodríguez, A.
Wang, Feng, Li, Wenwen, Wang, Sizhe, Johnson, Chris R.
Kamilaris, Andreas, Ostermann, Frank O.
Alam, Md Jahangir, Ercan, Mehmet B., Zahura, Faria Tuz, Goodall, Jonathan L.
Weilert, Trina E., Ji, Wei, Zubair, Opeyemi A.